It is a peculiarity of human beings that when people work in close proximity to each other, they eventually find ways to drive each other crazy. It is often the little things that begin to annoy others, and the irritation grows over time until there is an eventual altercation. This problem does not surface in every instance, but it is so common that supervisors need a kind of tool kit of ways to coach people so they stay out of open conflict. 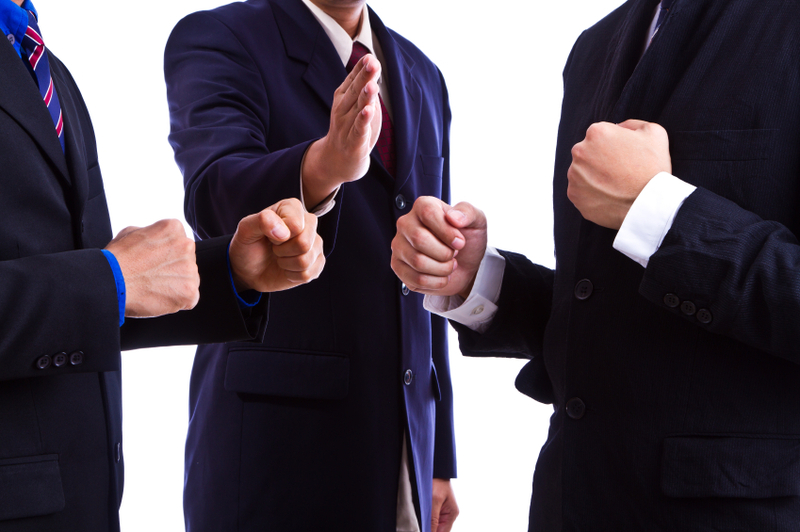 In this article I will share twelve of my favorite methods of preventing interpersonal conflict from becoming a problem among coworkers. These ideas are also part of a video series I made on the topic entitled “Surviving the Corporate Jungle.” Here is a link where you can view three sample videos (just 3 minutes each) from the series of 30 videos. 1. 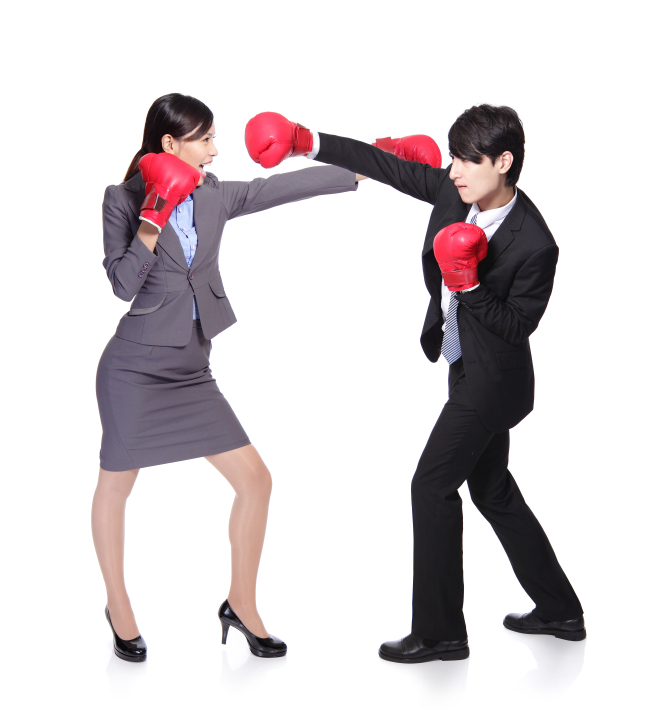 Reverse Roles – When people take opposing sides in an argument, they become blind to the alternate way of thinking. This polarization causes people to become intransigent, and the rancor escalates. A simple fix is to get each party to verbalize the points being made by the other person. To accomplish this, each person must truly understand the other person’s perspective, which is why the technique is effective. 2. Don’t Sweat the Small Stuff – Most of the things that drive you crazy about a co-worker are things that you won’t remember by the end of the day or certainly not later in the week. Recognize that the things annoying you about another person are really insignificant when considering the bigger picture and the numerous things both of you have in common. 3. Live and Let Live – The other person’s personal habits are just the way he or she is built. Don’t fixate on trying to change the person to conform to what you think should happen. Focus your attention on the things you like. 4. Take a Vacation – When pressure builds up, just take a brief vacation in your mind. Close your eyes, take a deep breath, and visualize a happier place and time. You can take a vicarious trip to the beach anytime you wish. One trick with this technique is to get as many senses involved as possible; feel the warm air on your cheek, taste the salt water on your lips, hear the gentle lapping of the waves, smell the seaweed by your feet, touch the warm sand on which you are sitting, see the beautiful sunset over the water. 5. Be Nice – Kindness begets kindness. Share a treat, say something soothing, compliment the other person, do something helpful. These things make it more difficult for the ill feelings to spread. 7. Don’t Talk Behind their Back – When you spread gossip about people, a little of it eventually leaks back to them, and it will destroy the relationship. If there is an issue, handle it directly, just as you would have that person do with you. 8. Don’t Regress to Childish Behavior – It is easy for adults in the work setting to act like children. You can witness it every day. Get off the playground, and remember to act like an adult. Work is not a place to have tantrums, sulk, pout, have a food fight, undermine, or any number of common tactics used by people who are short on coping mechanisms because of their immaturity. 9. Care About the Person – It is hard to be upset with someone you really care about. Recognize that the load other people carry is equal or heavier than your own. Show empathy and try to help them in every way possible. This mindset is the route to real gratitude. 10. Listen More Than You Speak – When you are talking or otherwise expounding, it is impossible to be sensitive to the feelings of the other person. Take the time to listen to the other person. Practice reflective listening and keep the ratio of talking to listening well below 50%. 11. Create Your Development Plan – Most individuals have a long list of what other people need to do to shape up but a rather short list of the things they need to improve upon. Make sure you identify the things in your own behavior that need to change, and you will take the focus off the shortcomings of others. 12. Follow the Golden Rule – The famous Golden Rule will cure most strife in any organization. We tend to forget to apply it to our everyday battles at work. If you teach employees to follow these 12 simple rules, there would be a lot less conflict in the work place. It takes some effort, but it is really worth it because we spend so much time working with other people. Following these rules also means leading by example. If just a few people in an organization model these ideas, other people will see the impact and start to abide by them as well. A big part of your role as a supervisor is to model good interpersonal behavior. That initiative can form a trend that will change an entire culture in a short period of time. It doesn’t take a rocket scientist to observe that people in a work setting have a remarkable ability to drive each other crazy. The same is true for our personal lives, but I want to focus on the work environment in this article. 1. Reverse Roles – When people take opposing sides in an argument, they become blind to the alternate way of thinking. This polarization causes people to become intransigent, and the rancor escalates. A simple fix is to get each party to verbalize the points being made by the other person. To accomplish this, each person must truly understand the other person’s perspective, which is why the technique is effective. 3. Live and Let Live – The other person’s personal habits are just the way he or she is built. Don’t fixate on trying to change the person to conform to what you think should happen. Focus your attention on the things you like to do. see the beautiful sunset over the water. 6. Extend Trust – Ernest Hemingway said, “The best way to find out if you can trust somebody is to trust them.” We’ll forgive the flawed grammar, since Ernest is already in the grave, and also since his meaning is powerfully true. 10. Listen More Than You Speak – When you are talking or otherwise expounding, it is impossible to be sensitive to the feelings of the other person. Take the time to listen to the other person. 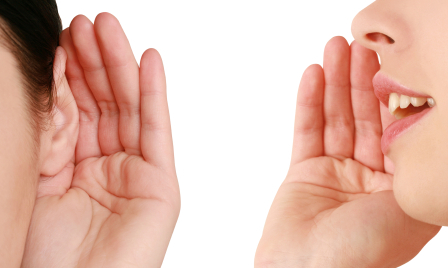 Practice reflective listening and keep the ratio of talking to listening well below 50%. 11. Create Your Development Plan – Most individuals have a long list of what other people need to do to shape up but a rather short list of the things they need to improve upon. Make sure you identify the things in your own behavior that need to change, and you will take the focus off the shortcomings of others. If we would all follow these 12 simple rules, there would be a lot less conflict in the work place. It takes some effort, but it is really worth it because we spend so much time working with other people. Following these rules also means leading by example. If just a few people in an organization model these ideas, other people will see the impact and start to abide by them as well. That initiative can form a trend that will change an entire culture in a short period of time. The above ideas are part of a set of videos for improving human interactions. The program is entitled “Surviving the Corporate Jungle.” You can view three demo videos for free by clicking on this link. http://www.avanoo.com/first3/528 Each segment is just 3 minutes in duration. If you are interested in purchasing the entire 30 video set, use promo code JUNGLE to obtain a 70% discount. One of my leadership students laments that some of the decisions the leaders in his organization make relative to policies and size of workforce are not smart. These decisions reflect a misunderstanding of their impact, so the leaders end up doing things that are at cross purposes to what they want to accomplish. I told the student to buy some “smart” pills for the leaders to take, which will let them know when they do things that take them in the wrong direction. Then I realized that I already had discovered the “smart” pill several years ago and have taught leaders how to administer this magic potion for quite a while. Leaders need a way to determine the impact of their decisions on the organization at the time of making those decisions. This knowledge will reduce the number of wrong-headed actions. Picture a leader of 90 individuals. There are exactly 90 people who are capable of telling her the truth about the impact of poor decisions before she makes them. They would gladly do this if the leader had established an environment where it is safe to challenge an idea generated in her mind. How would a leader go about creating such an environment? If a leader makes people glad when they tell her things she was really not eager to hear, those people will eventually learn it is safe to do it. They have the freedom to level with the leader when she is contemplating something really dumb. It does not mean that all dumb things the leader wants to do need to be squashed. It simply means that if the leader establishes a safe culture, she will be tipped off in advance that a specific decision might not be smart. Sometimes, due to a leader’s perspective, what may seem dumb to underlings may, in fact, be the smart thing to do. In this case the leader needs to educate the doubting underling on why the decision really does make sense. 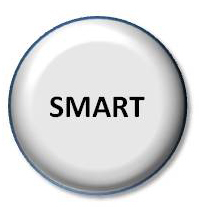 Here is an eight-step formula that constitutes a “smart” pill. 1. As much as possible, let people know in advance the decisions you are contemplating, and state your likely action. 2. Invite dialog, either public or private. People should feel free to express their opinions about the outcomes. 3. Treat people like adults, and listen to them carefully when they express concerns. 4. Factor their thoughts into your final decision process. This does not mean you always reverse your decision, but do consciously consider the input. 5. Make your final decision about the issue and announce it. 6. State that there were several opinions that were considered when making your decision. 7. Thank people for sharing their thoughts in a mature way. 8. Ask for everyone’s help to implement your decision whether or not they fully agree with the course of action. Of course, it is important for people to share their concerns with the leader in a proper way at the proper time. Calling her a jerk in a staff meeting would not qualify as helpful information and would normally be a problem. The leader not only needs to encourage people to speak up but give coaching as to how and when to do it effectively. Often this means encouraging people to give their concern in private and with helpful intent for the organization rather than an effort to embarrass the boss. The leader will still make some dumb decisions, but they will be fewer, and be made recognizing the risks. Also, realize that history may reveal some decisions thought to be dumb at the time to be actually brilliant. Understanding the risks allows some mitigating actions to remove much of the sting of making risky decisions. The action here is incumbent on the leader. It is critical to have a response pattern that praises and reinforces people when they speak the truth, even if it flies in the face of what the leader wants to do. People then become open and more willing to confront the leader when her judgment seems wrong. A leader needs to be consistent with this philosophy, although no one can be 100%. That would be impossible. Once in a while, any leader will push back on some unwanted “reality” statements, especially if they are accusatory or given in the wrong forum. Most leaders are capable of making people who challenge them happy about it only a tiny fraction of the time, let’s say 5%. If we increase the odds to something like 80%, people will be more comfortable pointing out a potential blooper. That is enough momentum to change the culture. It is important to recognize that making people glad they brought up a concern does not always mean a leader must acquiesce. All that is required is for the leader to treat the individual as someone with important information, listen to the person carefully, consider the veracity of the input, and honestly take the concern into account in deciding what to do. In many situations, the leader will elect to go ahead with the original action, but she will now understand the potential ramifications better. By sincerely thanking the person who pointed out the possible pitfall, the leader makes that individual happy she brought it up. Other people will take the risk in the future. That changes everything, and the leader now has an effective “smart” pill. The Talk Listen Ratio is one interesting measure of the skill of a leader. It is a pretty easy concept to understand, and If we look at the extremes, neither of them is a good place to be. If the ratio is over 80%, then the leader is monopolizing the conversations. Unfortunately many leaders operate in this range for much of the time. They may be able to get compliance out of people, but they are leaving the power of people off the table. On the other extreme, if a leader’s ratio is below 20%, there is going to be a detachment. This leader is too reticent with his or her thoughts. People will begin to wonder if the person is truly engaged in the mission of the group. Since it is easy to see the extremes do not work well, it is axiomatic that a balance, like perhaps between 40% and 60% might work better. This means the leader is open with his or her thoughts, but also interested in the ideas of others. I recommend every leader ought to have some way to keep track, because most leaders are blind to the actual ratio they achieve on a daily basis. You could make a recording of a few conversations to get some data, but I would not do that unless everyone involved agrees to being recorded. By getting everyone’s permission to record a conversation, it would alter the phenomenon being measured, so you would have a Heisenberg Uncertainty situation, where you destroy accuracy by trying to measure a phenomenon. The optimal ratio is situational, of course. For example, if the leader was trying to outline her vision of the future for the organization, a higher ratio would be expected. The purpose of that conversation is to share her views. Ten minutes later, when that same leader is trying to console a worker who has just lost a loved one, the better ratio would be much lower, because the main objective is to let the person grieve. My observation is that most leaders would be better off if they would take their natural tendency and lower the ratio by about 20%. If I naturally take up 80% of the air time, I might get a much better result by operating at 60%. This rule does not hold for leaders who naturally operate at 40% or lower. They should seek to maintain their current level or increase it. I have found it to be possible to monitor your own ratio in certain circumstances. It is distracting to keep track, so the quality of communication is compromised. It is especially difficult to keep track yourself when you are emotionally upset or excited. In these cases, it is helpful to ask another person to make a mental note of your ratio and tell you later. The precision will not be to the second decimal place, but that precision is not required. If you can determine your typical ratio doing several kinds of discussions to within 20% accuracy, that is enough to allow you to change your habits through a feedback process. There is nothing special in this technique, but I believe it is an extremely rare leader who actually cares about his or her ratio or makes any effort to measure or control it. If you are keeping track and working your way down the scale, you are likely one of the elite leaders of our time. One of the most pervasive and vexing problems in organizations is that most leaders do not realize the damage they are doing on a daily basis. When leaders are blind to the trust withdrawals they make, there is little opportunity to create an environment of high trust. I believe trust is the most critical element for any group, so this problem of leadership blindness holds back many organizations. Is there a way out of this conundrum? I think there is. What we need is a kind of “mirror” for leaders so they can see their own contribution to the problems that they desperately want to solve. If such a mirror existed, how would we get a leader to use it daily? Brilliant leaders have already found the ability to see their own contribution to lower trust, and they are able to change things themselves. Unfortunately, the world is not full of brilliant leaders, so the average ones, and especially the poor ones, need some assistance. We have ruled out the individual leader as the person who has the ability to see his or her contribution to a poor culture, so it must fall to some other person or force to do it. In the mind of most leaders, things would be vastly improved if only “they” (other people) would be more dedicated, smart, open, cooperative, cheerful, willing, trustworthy, and a thousand other things. If we asked a random person from the organization to step up and be a sounding board for the leader, it would not work. That person is part of the problem, in the leader’s opinion, so the information brought by the individual would fall on deaf and annoyed ears. A better approach would be to identify a “Mirror Coach.” This is an individual whom this leader really does trust (there is always someone). This person is the key to having the leader begin to see that she is frequently operating at cross purposes to her intent. In most cases leaders want higher productivity, greater teamwork, people showing initiative, good attitudes, a pleasant place to work, etc., but on a daily basis they do things that take the organization 180 degrees in the wrong direction. Once a leader begins to understand this paradox and is willing to ask, “What do I need to change in my own behaviors to have the kind of results I want from my team?” the door is open to better leadership. We must identify an individual who has enough purchasing power with the leader to allow a series of frank conversations. This person must not be perceived by the leader as a primary source of the problem. It might be a kindred spirit within the organization to whom the leader has confided in the past. It could be the leader’s own manager, if that person is not also clueless. It could be a coach or outside mentor who is brought in to help clarify improvement opportunities. It really does not matter where this person comes from, as long as he or she has the ear of the leader to discuss some uncomfortable topics without getting thrown out of the office. A trained coach is often the best solution here. The appointed individual needs to understand the assignment is fraught with peril. There is already some rapport established with the leader, and the education process requires some frank discussions that are not comfortable. Change is difficult. The Mirror Coach must honestly believe that he or she is there to provide a crucial service to help the leader grow. Sure, there are going to be some tense moments, but if a stronger and more healthy organization is the result, the Mirror Coach can visualize the role as vital to the future of the organization as well as to the leader. It is an ultimate challenge. This step is the hardest part of the process. The leader has been convinced for a long time that the problems reside with “them” not “me,” so focusing energy on how “I can change my own behaviors” will feel like it is misdirected. It is an act of faith to take the first step. One way to enable helpful dialog is to have the leader verbalize that things could be better for the organization. Bring in a coach who can work with the senior team (not just the boss) in a series of “lunch and learn” sessions. Eventually, the coach will earn the trust of the boss and gain the purchasing power to have some constructive, albeit difficult, conversations. Once a leader is willing to get help in the form of a Mirror Coach, something magical happens. The stark realization of the unsuccessful nature of what has been done up to now is a good place to start. Also, the leader may have associates or mentors outside the organization who can advocate that a different approach is worth a shot. All that is required is for the leader to be willing to examine his own contributions to his problems and be willing to explore possible alternatives. By taking some baby steps in the direction of modifying behaviors, the leader will be showing a different side, and the people in the organization will react very positively to it. They have been living in a kind of tyranny for so long, any movement in a positive direction will produce endorphins of positive energy that will be obvious to the leader, especially if the actions are encouraged by the coach. Continual reinforcement of the small behavioral changes will persuade the leader to keep the momentum going. After some initial cautious steps, the leader will become more bold about changing his own behaviors to create the kind of environment where his goals are easily met. The process becomes self-sustaining rather quickly. There is one caution during this transformation. The behavioral changes needed to sustain a culture of higher trust are not the natural style for the leader, at least in the beginning. There are going to be some relapses and false steps along the way. Both the general population and the Mirror Coach must not lose faith when the leader hits a speed bump. It is important to put any missteps into the perspective of what has already been gained in order to recapture forward momentum. Progress in the leader’s ability to see the trust problems as rooted in his own behaviors defuses the culture of blame. No longer does the leader see workers as the primary source of problems. While this may be unsettling at first, it is really liberating for the organization because significant progress toward a higher trust environment is apparent every day, and productivity will skyrocket. Having a Mirror Coach help the leader shift focus from blame to one of behavior modification creates more objectivity because the emphasis will be on understanding cause and effect rather than witch hunting. The new habits will allow more heart-based communications to occur in contrast to the prior one-way directional communications. The leader will learn to relax and have more fun at work while still getting much more accomplished. The source of a poor environment is always a mutual problem for everyone in the organization. Everyone in the organization stands to benefit from a better environment, so everyone needs to be a part of the solution. With care and patience, the entire team can create a culture where behaviors support the values and vision, so it becomes a win, win, win. The organization wins due to better performance, the workers win due to fewer conflicts, and finally the leader wins because he or she reaches the challenging goals quicker and with less turmoil.